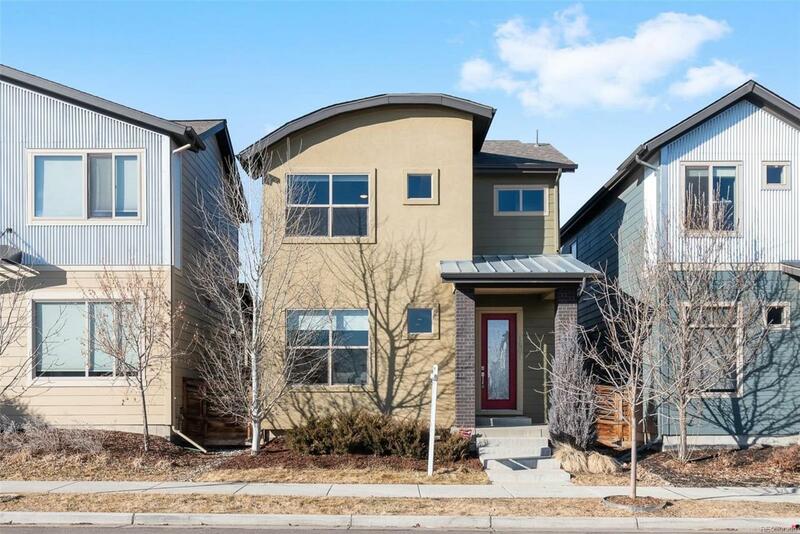 Located just 15 minutes from Downtown Denver with easy access to I-36 to Boulder, plus the peaceful Clear Creek Trail, Midtown is Denvers premier community! Better than a new home, open living and dining area with the showpiece chefs kitchen. Enjoy the custom tile backsplash and polished granite surfaces along with a gas range, island with breakfast bar, and pantry. Entertaining is a breeze with custom Trex deck and low-maintenance side yard. The upstairs Master retreat features a relaxing en suite bath with granite double vanity, shower and walk-in closet. Safety and Tech must-haves include a Ecobee Smart thermostat, Ring Door Bell, Cat5E wiring throughout, radon mitigation system, and tankless water heater. Remarkable 11 ceilings & large egress windows in the unfinished basement continues the open, expansive feel of the home. Walk to the brewery, dog park, multiple community parks with playground, Montessori Pre-School, and a new K-8 school at Trailside Academy opening this fall!